The 2017 Open Educational Resources Conference (OER17) will be held at Resource for London on the 5th and 6th April. The conference theme is “The Politics of Open” and has never been more timely. Registration closes 16th March so don’t delay. Once again, there is a strong presence of people associated with Wikimedia UK, as well as other Wikimedians. As Wikipedia edges towards 17 years old and we get ever closer to OER17, here’s a look at the presentations coming up from Wikimedia – on the edge of OER17. The conference is co-chaired by Wikimedia UK trustee Josie Fraser and Creative Commons Poland co-founder Alek Tarkowski. 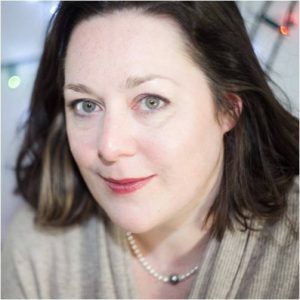 Wikimedia UK Chief Executive Lucy Crompton-Reid is one of the keynote speakers. Lucy Crompton-Reid has a career in the cultural, voluntary and public sectors spanning two decades, with a strong emphasis on leading and developing participatory practice and promoting marginalised voices. As Chief Executive of Wikimedia UK since October 2015, she has led the development of a new strategy focused on eradicating inequality and bias on Wikipedia and the other Wikimedia projects, with an emphasis on the gender gap and geographic bias. In the past year Lucy has given talks on equality and diversity at the Open Data Institute, Open Source Convention and MozFest, and recently spearheaded an international partnership between Wikimedia UK, Wikimedia communities around the world and the BBC, focused on closing the gender gap on Wikipedia. Lucy will be presenting: “Open as inclusive: Equality and Diversity on Wikimedia” at OER17. Sara Mörtsell, Education Manager of WikimediaSE, will present on “How openness in mainstream K-12 education can advance with Wikimedia and GLAMs in Sweden” – This proposal addresses how mainstream K-12 education can transition to use and share open educational resources and play a part in the future direction of the open educational movement (Weller 2014). The presentation is based on practical experience of a one year OER project in 2016 with 230 students in K-12 education from both minority and dominant communities in the city of Stockholm. Stefan Lutschinger, an academic and Wikipedia Campus Ambassador at Middlesex University, will present on “Open Pedagogy and Student Wellbeing: Academic Confidence Building with Wikipedia Assignments“. Stefan’s talk talk will introduce the use of Wikipedia assignments in higher education, present a case study, discuss its benefits for students’ academic confidence building and propose a framework for evaluation and critical reflection. The evidence is based on the compulsory course module (level 6) ‘MED3040 Publishing Cultures’ of the BA (Hons) Creative Writing and Journalism degree programme at Middlesex University, Department of Media, developed in cooperation with Wikimedia UK and the Wiki Education Foundation. Ewan McAndrew, Wikimedian In Residence at the University of Edinburgh, is delivering a presentation on “Lo and Behold: Reveries of a Connected Campus: Reflections from the Wikimedian in Residence at the University of Edinburgh”. While there have been previous Wikimedia residencies based in UK cultural institutions focussing on opening up collections, five years have now passed since Grathwohl (2011) acclaimed Wikipedia had ‘come of age’ in formal education settings with Wikipedia still representing the oft-ignored “elephant in the room” (Brox, 2012). Hosting a Wikimedian at a Higher Education institution to embed the creation of OER in the curriculum does therefore represent something of a shift in the paradigm. This presentation discusses one such residency and the lessons learnt from the first 15 months. Ewan will also be giving a lightning talk on “Building bridges not walls – Wikipedia’s new Content Translation tool”. Wikipedia’s new Content Translation tool offers an impactful means of sharing open knowledge globally between languages as it brings up an article on one side of the screen in one language and helps translate it, paragraph by paragraph, to create the article in a different language taking all the formatting across to the new article so a native speaker just has to check to make sure the translation is as good as it can be. This presentation will outline the successful models already employed in a Higher Education context. Martin Poulter, Wikimedian In Residence at the University of Oxford, is giving a presentation on “Putting Wikipedia and Open Practice into the mainstream in a University”. OER Conference attendees are often part of a minority group of Open Education advocates in their institutions, and it is a hard challenge to change wider institutional policy and culture. This presentation will share lessons learned from experience in a UK university, using Wikipedia and the other Wikimedia projects as well as Open Access research publication as levers to encourage an open approach to education. The drive towards open access to the outputs of research, and open access to the collections of cultural institutions, are potentially powerful drivers for the creation of open educational content. This session explores how to push academic culture in that direction. Gamifying Wikimedia – Learning through play (Pic from Ada Lovelace Day 2016 at the University of Edinburgh – own work CC-BY-SA). Ewan and Martin will also be running a workshop on “Gamifying Wikimedia – Learning through Play (Workshop)“. This workshop will demonstrate that crowd-sourcing contributions to Wikimedia’s family of Open Education projects does not have to involve a heavy time component and that short fun, enjoyable activities can be undertaken which enhance the opportunities for teaching & learning and the dissemination of open knowledge. Participants will be guided through a series of Wikimedia tools; running through the purpose of each tool, how they can be used to support open education alongside practical demos. Wikimedia UK volunteer Navino Evans is giving a workshop on “Histropedia – Building an open interactive history of everything with Wikimedia content“. Histropedia is a web application aiming to create free interactive timelines on every topic in history using open data from Wikimedia projects like Wikidata, Wikipedia and Wikimedia Commons.All Histropedia timelines are published under an open licence, which means they can be reused and remixed for any purpose, both within Histropedia and elsewhere on the web. Tools like Histropedia provide an incentive for donating text, data and images to Wikimedia projects, as it can instantly be visualised in exciting ways without incurring any cost. Histropedia timeline of University of Edinburgh female alumni; colour-coded by place of birth and with language labels in Japanese, Russian, Arabic and English. It also shows how data becomes more valuable when it’s open, as it can be combined and compared with other data in a way that is not possible when kept in isolation. It’s our hope that Histropedia can play a role in getting more educational institutions to engage with Wikimedia content and other open resources, as well as inspire others to build innovative applications on top of the wealth of free knowledge that’s available. In this workshop, we will learn how to use Histropedia by completing a sequence of practical exercises to find, combine and improve content. Alice White, Wikimedian in Residence at the Wellcome Library, will also in attendance running a Wikimedia session in the Lewis Suite. Something for everyone there. Look forward to seeing you there! Histropedia Timelines – In the (Saint) Nick of Time. Can you spot Saint Nick in the below timeline of saints? Screengrab of Histropedia Wikidata Query Viewer (CC-BY-SA). For today’s post, the Open Education resource we present to you is Histropedia – the timeline of everything. Histropedia allows users to create visually dynamic timelines using structured data from Wikidata, articles from Wikipedia and images from Wikimedia Commons. It has in excess of 340,000 timelines listing 1.5 million articles from Wikipedia: including timelines on the Battles of World War One, the Heroic Age of Antarctic Exploration, the Novels by Charles Dickens, Empires, Famous Artists, the filmography of David Bowie and many more. This 1 minute 22 second video demonstrates how quickly & easily timelines can be put together using Wikipedia articles & categories to dramatically visualise events. By way of example, I was able to create this Santa Claus in the movies timeline in a matter of minutes going from the 1900 movie, A Christmas Dream, by Georges Méliès right up to modern day with films like Trading Places (1983), Miracle on 34th Street (1994) and Arthur Christmas (2012). The published timeline is now available for others to view and add to as a free open education resource where each timeline event can be clicked on to take you through to the Wikipedia article to find out more. Further, now that the Histropedia now has a Wikidata Query Viewer option this means that the structured data can now be queried even further. For example, I was curious to find out more about Saint Nick so I was able to ask Wikidata to show me all the saints it had information about and show them on a timeline according to their year of birth and colour coded by their place of birth. Click here to view the result. Histropedia’s developers, Navino Evans and Sean McBirnie, joined us at Repository Fringe at the University of Edinburgh in August this year where we recorded a short video tutorial in order to demonstrate how to create a Histropedia timeline using their Wikidata Query Viewer – this time on female alumni of the University of Edinburgh; colour-coded by their place of birth and labelled in Japanese, Russian, Arabic & English (depending on whether the query could find an article in these 4 different language Wikipedias). This OER video tutorial has now been viewed a thousand times and is available to view on the university’s Media Hopper channel on a CC-BY license. To find out more about Histropedia, you can read this article from the Wikimedia UK blog but why not have a go yourself!